PRISONER BEWLEY TUCK or JOHN TUCK? 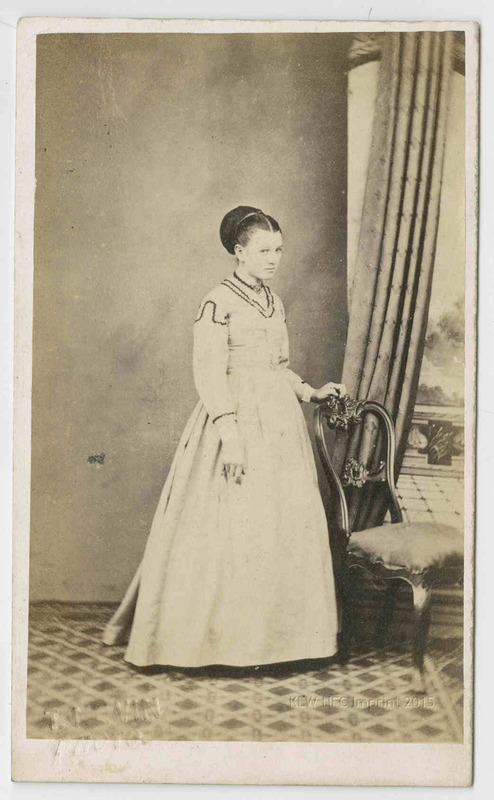 Of the three hundred and fifty (350) or so extant photographs taken by government contractor Thomas J. Nevin of Tasmanian prisoners in the 1870s which were printed unmounted and/or in an oval mount for prison records, this unmounted print of Bewley Tuck (above) is held at the Tasmanian Museum and Art Gallery (TMAG), Hobart. 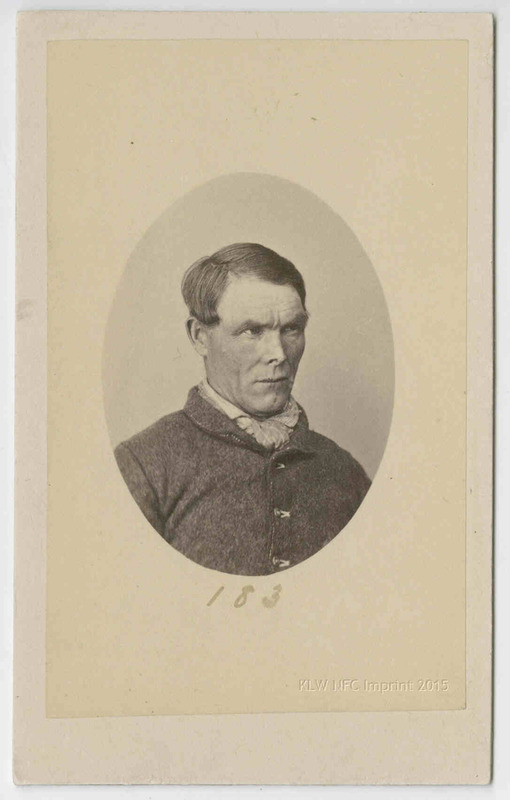 At least forty more unmounted photographs of prisoners taken by T. J. Nevin in the 1870s which were collated by John Watt Beattie in three panels ca. 1915 are held in the Queen Victoria Museum and Art Gallery, Launceston, together with seventy or so cdvs in oval mounts, the remainder of part of more than three hundred in oval mounts which were originally bequeathed from the estate of convictaria collector and government photographer John Watt Beattie to the QVMAG in the 1930s. 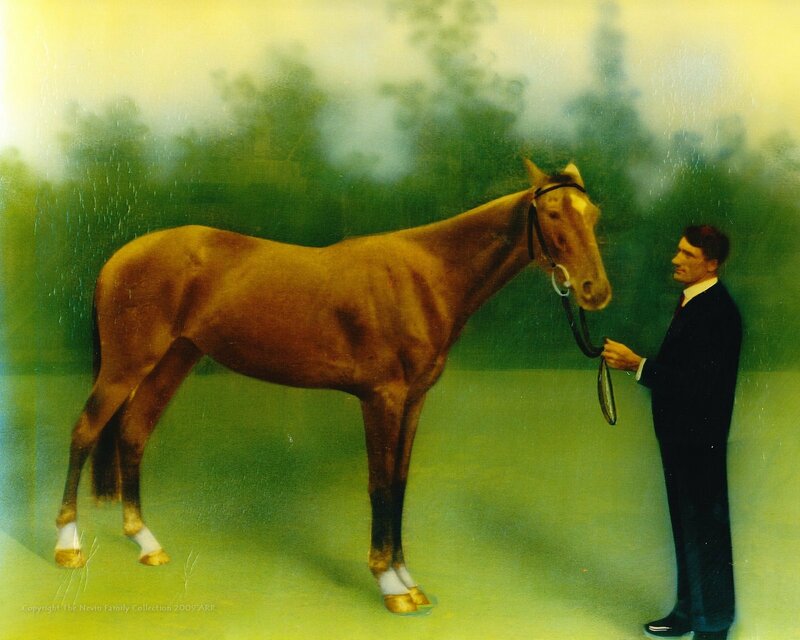 When several dozen mounted and unmounted cdvs were removed from Beattie’s original collection at the QVMAG and taken down to the Port Arthur prison heritage site for an exhibition as part of the Port Arthur Conservation Project in 1983, they were not returned to the QVMAG. They were deposited instead at the TMAG . Given the scratches, crossed out inscriptions and general damage, the glass negative from which this print was made would have been used extensively to reprint the prisoner’s photograph for prison records as each offense and charge was recorded. 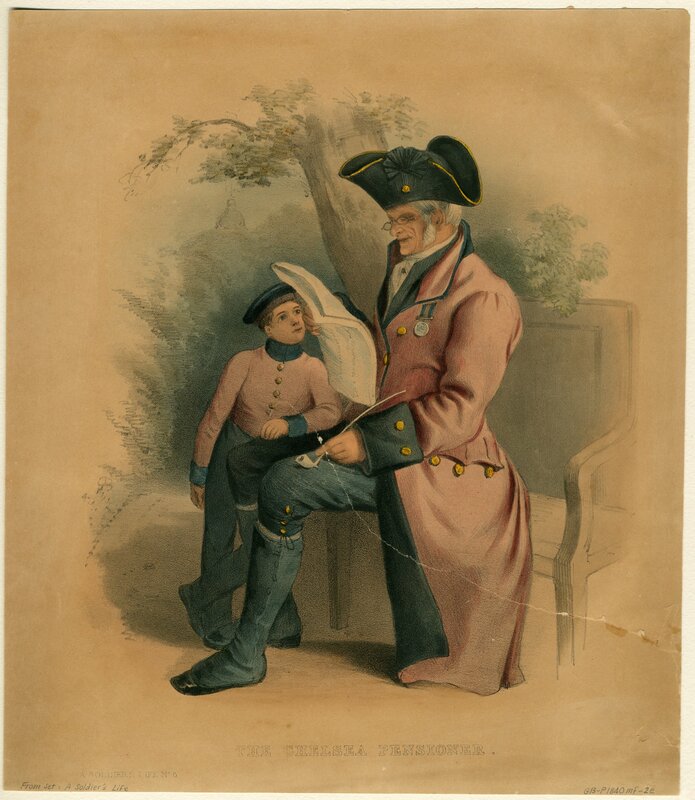 The print, unmounted such as this one, would have been pasted to his rap sheet, and more would have been reprinted from the original glass plate several times over the prisoner’s long criminal career. Examples of both types of prisoner mugshots – mounted and unmounted – attached to prisoners’ rap sheets are held at the Archives Office of Tasmania in prison photo books. 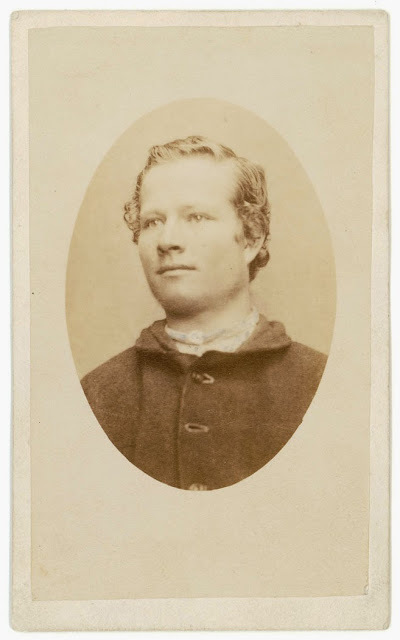 The QVMAG holds the mounted carte-de-visite of this prisoner Bewley Tuck, printed from the one and only sitting with police photographer Thomas J. Nevin, in 1875 at the Hobart Gaol. The QVMAG list (acquired here in 2005) showed a total of 199 mugshots, but only 72 were physically held there when the list was devised. A total of 127 mugshots were missing by 2005. Two mugshots in this sequence – numbers 198 and 200 of prisoners James Mullens and William Smith, each bearing verso Nevin’s government contractor Royal insignia studio stamp – were deposited at the State Library of NSW, Mitchell collection (SLNSW PBX 6274) ca. 1907, among a dozen more which do not bear the numbering on recto. Cdv and uncut print of prisoner Bewley Tuck. Elspeth Wishart (an employee perpetuating the Boyd misattribution formerly at the QVMAG and now at the TMAG) contrived the absurd and groundless photographer attribution to the commandant A. H. Boyd during this 1983 exhibition at Port Arthur as a result of a socially aspirational comment by a descendant of Boyd. It was hearsay, and remains nothing more than vexatious misinformation. 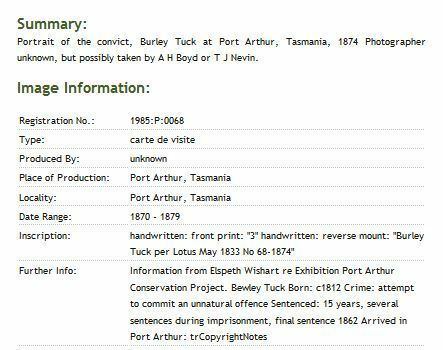 In addition to a paper copy of Nevin’s photograph of Bewley Tuck (seen in this webshot, 2005), the Archives Office of Tasmania holds two relevant convict records. 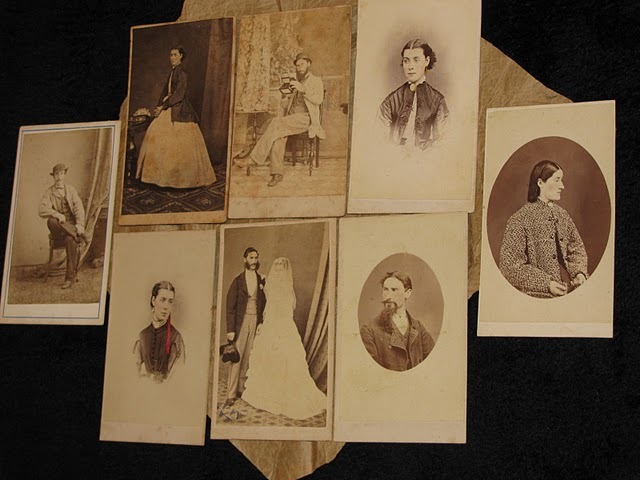 Two versions exist of the one photograph taken of a convict who was labelled JOHN TUCK on the print from Nevin’s original glass plate, and BEWLEY TUCK on the carte-de-visite mounted in an oval frame. Were they one and the same person, or two different men? The Archives Office of Tasmania holds a record for each name, with different transportation dates and physical descriptions, so they must have been two different men, so why is there just one image of the same man, identified as John Tuck on a glass negative, and Bewley Tuck on the carte printed from the negative? 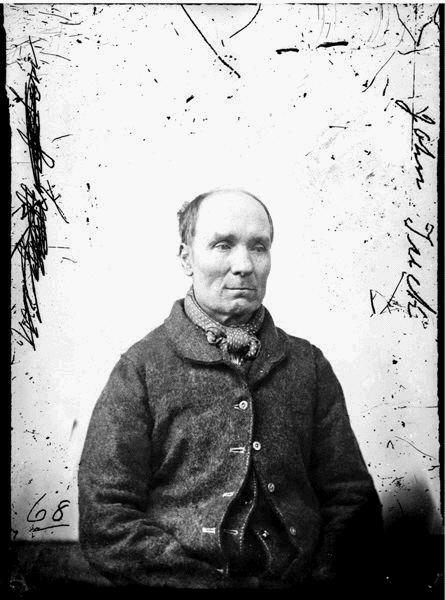 The image of the man himself on the glass negative print with the name John Tuck scratched on it is the original photograph taken by Thomas Nevin at the Hobart Gaol of Bewley Tuck, photographed in the week ending 5th May, 1875, the date of Bewley Tuck’s discharge. He had served 15 years for the “attempt to commit unnatural offence” and was 65 years old when he was discharged. Although the item held now in a public collection is catalogued as the 1870s original, it may in fact be a later reproduction of Nevin’s 1875 glass negative, developed again as a lantern slide by John Watt Beattie in the 1900s for use in his lectures on Tasmanian history. 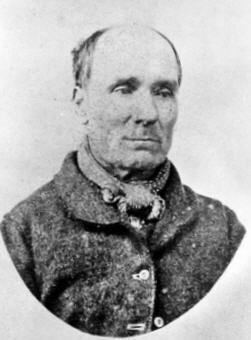 Images of Tasmanian convicts were also used in lectures on physiognomy delivered by a phrenologist, Mr Sheridan. 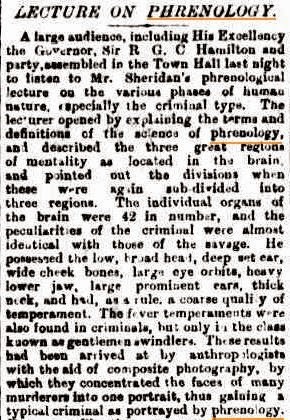 The Mercury reported his lecture on 30 March 1892 had focused on the criminal type, classifications within the type, and the use of composite photography in phrenology. There were two great types of criminals-the normal criminal, as already mentioned, and the epileptic. If Beattie had made a new lantern slide from the negative of Nevin’s original, this may account for the name “John Tuck” appearing on one side of the frame, and another name scratched out appearing on the other side. It is likely therefore to be an error by later copyists such as Beattie and Searle ca. 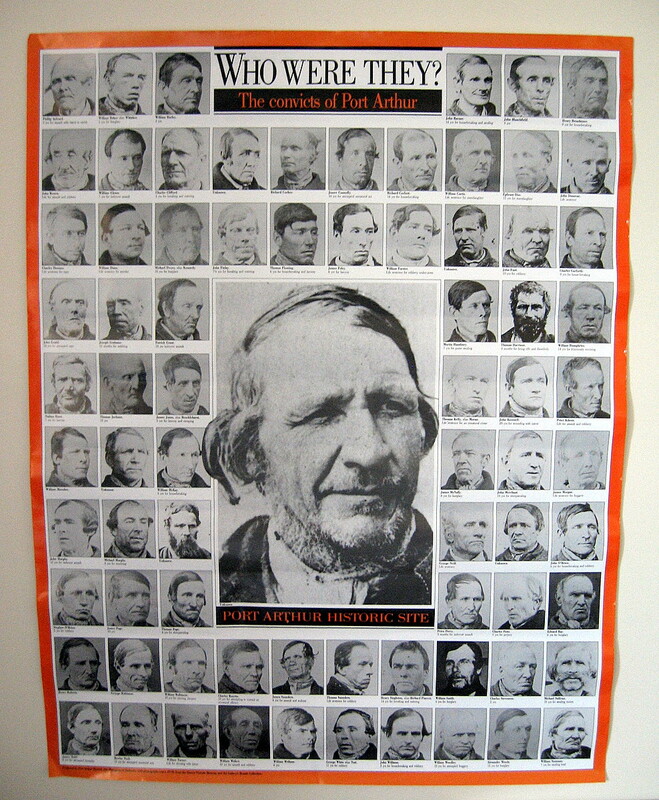 1915, who reproduced these convict images as “Types of Convicts – Official Prison Photographs from Port Arthur“, to be sold as tourist tokens in Beattie’s convictaria shop and museum. A few more of these later reproductions from the original glass negative of prisoners Rosetta, Meaghers, and Lee, attributed to Beattie & Searle ca. 1916, are held at the NLA, and the QVMAG holds three panels totalling 40 unmounted prints devised by Beattie and Searle, together with individual cdvs in oval mounts, mostly of the same prisoner. Thomas Nevin photographed men who were absconders, men who were arrested on suspicion and charged, men arraigned in the Supreme Court and discharged from the Mayor’s Court on a regular basis at the Hobart Gaol. 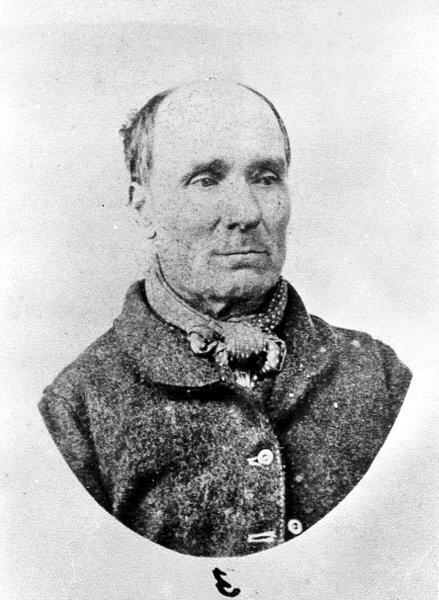 When he photographed this man in May 1875, Tuck was known to his gaolers only as Bewley Tuck. 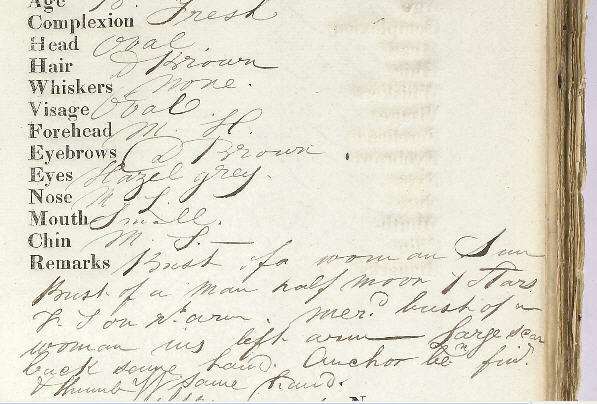 His name appeared only once in the weekly police gazettes, called Tasmania -Reports of Crime for Police Information, between 1871 and 1875, and that one occasion was his discharge. 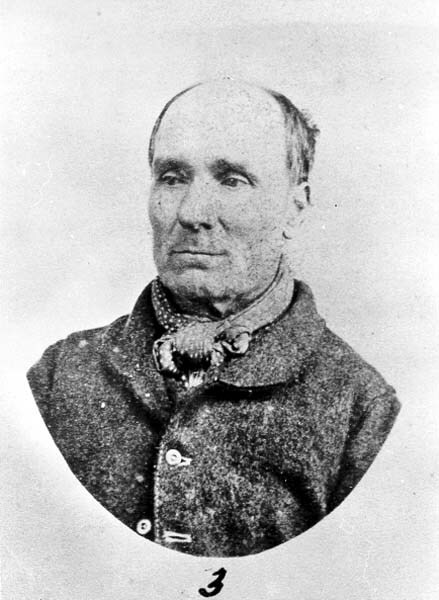 Thomas Nevin photographed Bewley Tuck once, and once only, providing the prison and police authorities with at least four duplicates from his negative for future police reference, including the print pasted onto the convict’s record sheet. The image mounted or unmounted, was a standard police record mugshot, small enough to fit onto the paper record with room for written details. 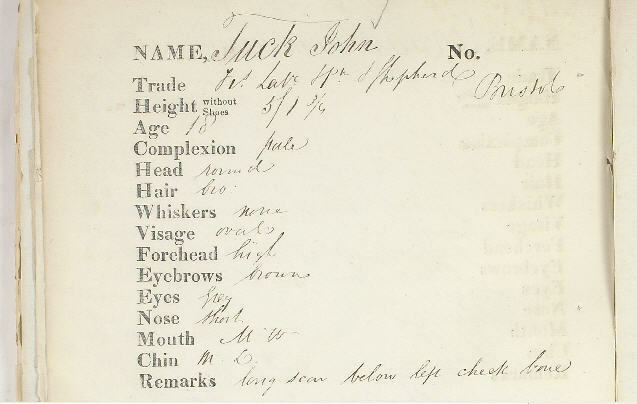 It’s up to the reader to decide which physical description of the two men fits the image, keeping in mind that these convict records are transportation records of arrival and muster were written no later than 1853, and the photograph by T. J. Nevin was taken in 1875. 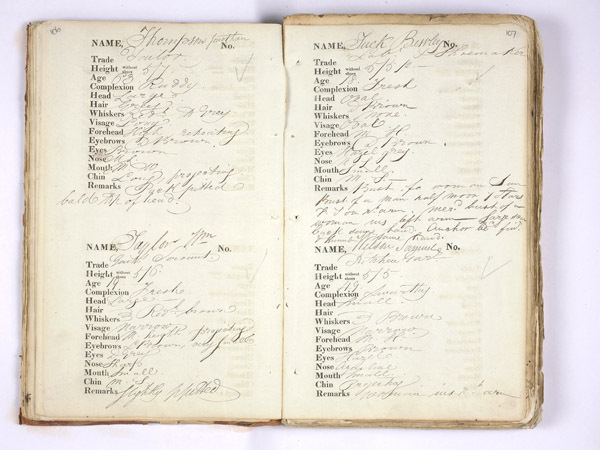 That is a difference of over 40 years, and both of the written records indicate that John Tuck and Bewley Tuck were 18 years old when transported. 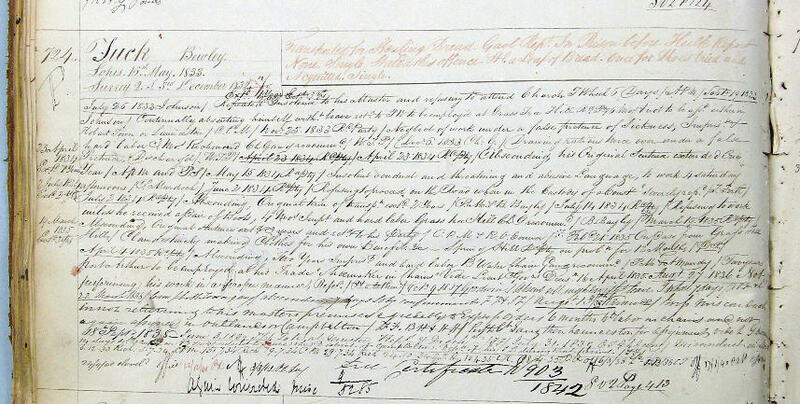 The discharge details for Bewley Tuck in 1875 give his age at 65 yrs, and an anchor tattoo on back of left hand. 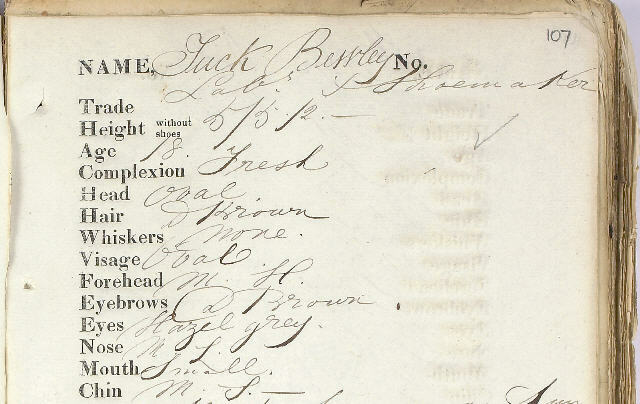 The “punctum” – the detail that grabs the eye – and informs a viewer’s interpretation, may be in the image itself, or in the written description, for example, the “long scar below left cheek bone” in John Tuck’s record. In the negative image, it’s below the right cheek bone, or is it? The glass negative with “John Tuck” written down the right side. What has been scratched out on the left? The carte on the left bears the number “3”. Its mirror version on the right shows the image as it appeared on the original negative. The mirror version, straightened, shows that there was just one image of this man, captured first on glass, then printed as both an unmounted paper print, and then mounted in an oval frame as a cdv. 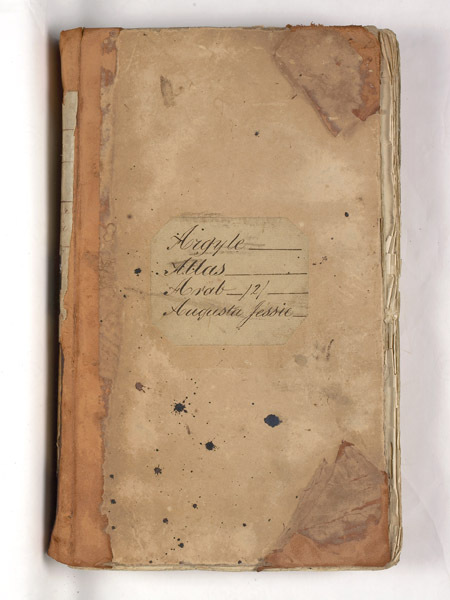 Above: verso and recto of same image in cdv format in the QVMAG database. Notice that it is number 3 in the series copied at the QVMAG ca. 1985 for distribution to other public institutions (AOT, NLA, TMAG): the first, number 1 being of prisoner Nutt aka White, and number 2 being Wm Yeomans (also at NLA as a mounted cdv). 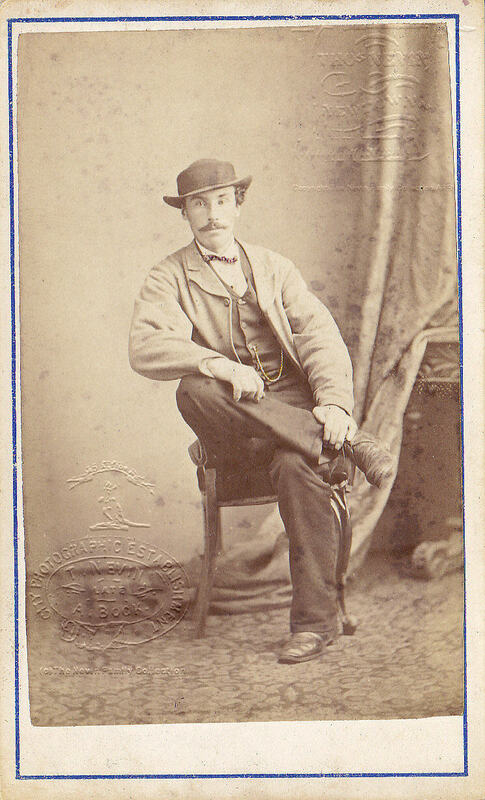 None of these first three cartes copied from the QVMAG Beattie collections, from which Nevin’s 1870s original negatives and vignetted duplicates were drawn, has the inscriptions on verso “Taken at Port Arthur 1874“. See this article here: Aliases, Copies and Misattribution.